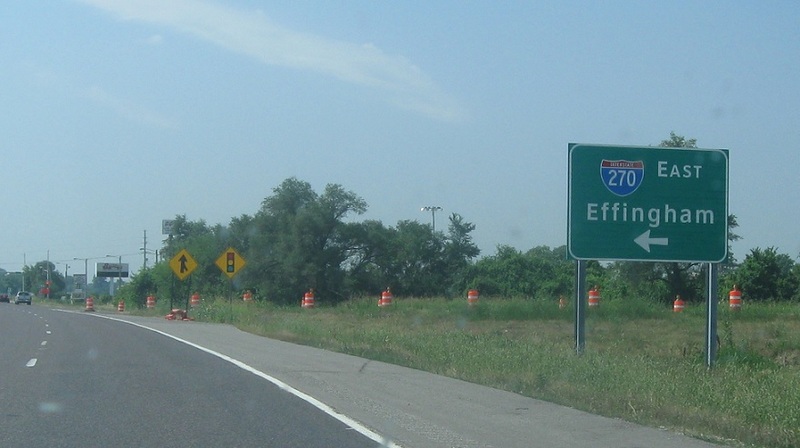 Reassurance shield after the Hartford turnoff. 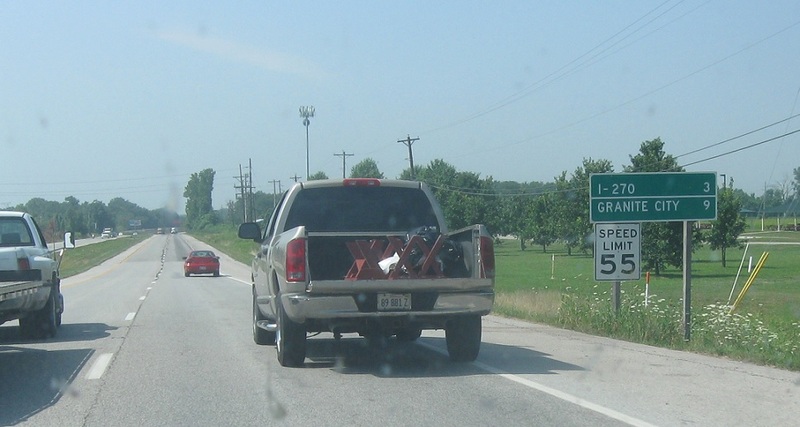 After New Poag Rd, we’re three miles from Interstate 270. 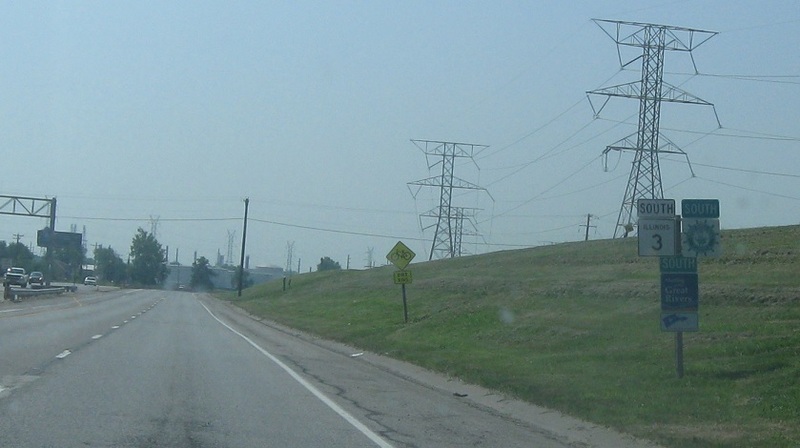 Shortly thereafter, we’ll enter Granite City, several miles from the core of town. 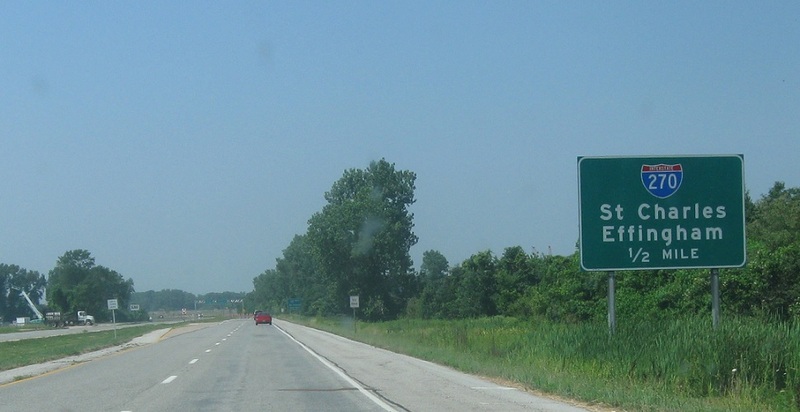 In a half mile, we’ll approach Interstate 270. 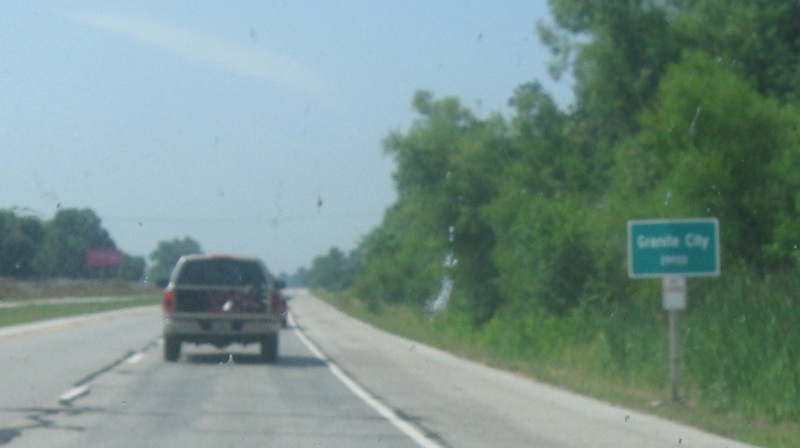 Follow I-270 west to St. Charles, Missouri. 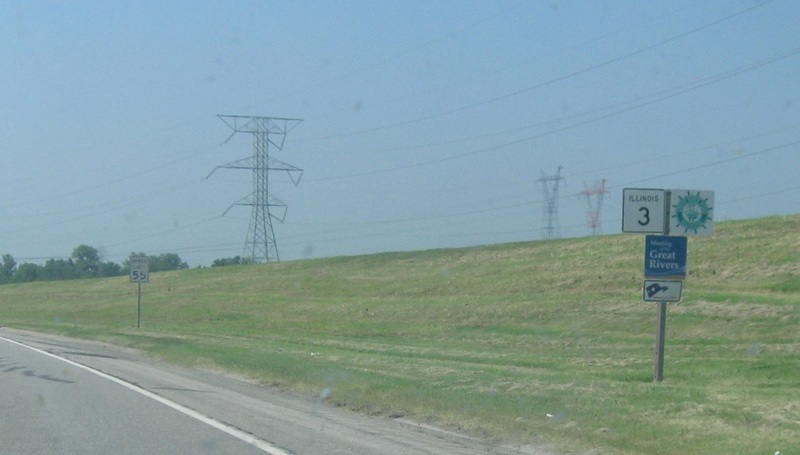 Turn right for 270 west. 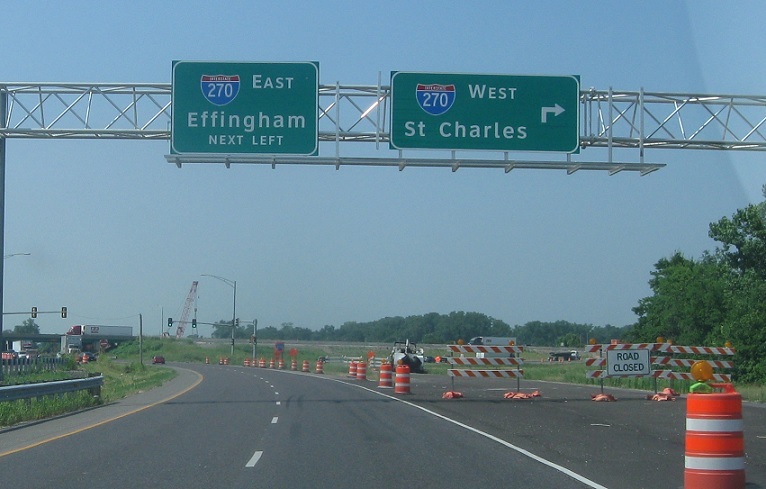 Follow I-270 east to Effingham.